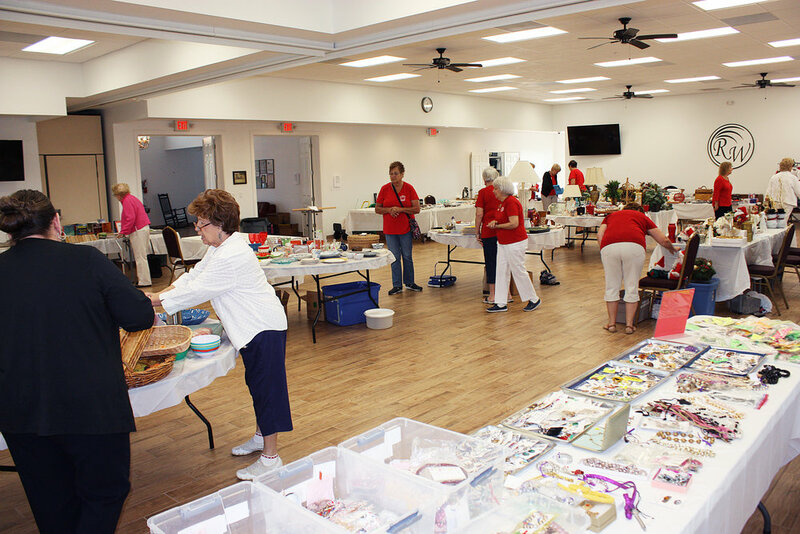 Our Ladies took the time to clean out closets, and garages and donated unwanted treasures to our rummage sale. All proceeds went to benefit ARC of Charlotte County, a program for intellectually and developmentally disabled adults. Any remaining items will be donated to EARS Thrift Shop. Not everyone gets to celebrate a 90th birthday, but Dolores celebrated hers in style. She invited her friends and family to a dinner party at the Rotonda Golf and Country Club to help her celebrate. 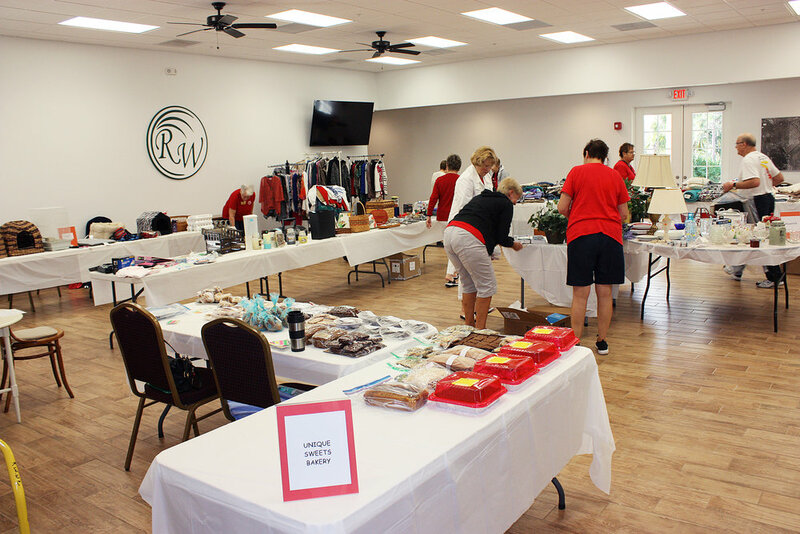 Any donations were to be given to the GFWC Rotonda West Woman's Club Scholarship Fund. Through her generous gesture a $2000.00 scholarship will be given in her honor. One of her granddaughters happened to be a friend of a Florida State Junior Woman's Club officer and mentioned to her of her grandmother's birthday and the donations being given to a scholarship fund. She in turn notified the President of GFWC Florida, who called Dolores to wish her a "Happy Birthday". 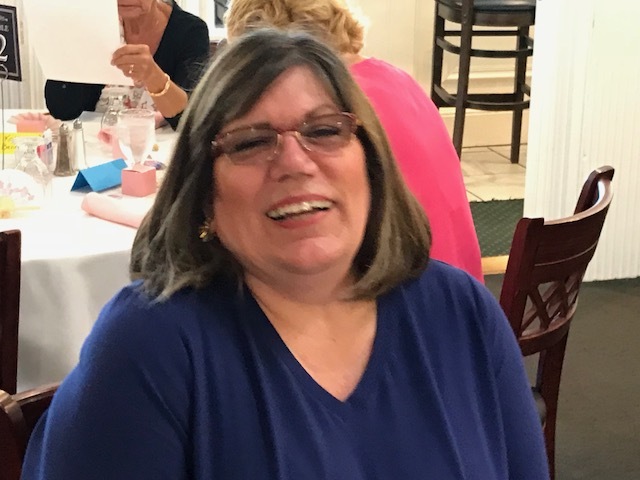 On April 13th, as Mary Powell,Florida President ,was in attendance at the Port Charlotte Woman's Club's 50th Anniversary celebration, Dolores had a chance to meet her and this attached photo was taken. Dolores on the left, Mary Powell, Florida President on the right. Thanks to Clawford, the Stone Crabs Baseball Team Mascot, and to all of our blood donors who came out to support our first BIG RED BUS Blood Drive at the Rotonda West Community Center! We surpassed our goal!! Hooray for the Gfwc Rotonda West WC, our friends and wonderful neighbors! Within the GFWC Rotonda West Woman's Club there are six ESO Book Clubs. Each December and April one of the book clubs hosts a luncheon for all book club members. On Thursday, April 5, 2018 "The Happy Bookers" were the host club. The luncheon had a theme of "Cherry Blossom Time" and was held at The Hills Golf & Country Club. Happy Bookers leader Doris Walker and 11 other members had been planning the luncheon for the past eight months which included making centerpieces for tables, providing small token gifts to all guests and coming up with trivia games related to book reading for guests to play. In addition, each host club provides entertainment after lunch is served. The entertainment provided this time was a very special presentation by Harp player, De Luna. She told stories of how the Harp originated and then let several gals try their skills so they could get the feel of playing. Her stories and playing was quite soothing and mystical and enjoyed by all. Saturday was just so much fun. A Thank You to all for making this a great event. On Saturday Oct. 21st, we put our Domestic Violence Awareness purple pinwheels on Rotonda West Blvd in front of the Faith Lutheran Church & Rotonda West Community Church. Thanks to Everyone that helped !!! A special Thank You to all that came out to help !! First came shopping. In one shop the clerk encourage us to select a fascinator (hat) so she could take our pictures. Some of the girls from Brunch Buddies and Socialites had such fun!! Mary Margaret's Tea House in Arcadia served us lunch. A very nice place with great food to end the day. The Tonettes visited the Douglas-Jacobson Veteran's Home in Port Charotte, May 16,2017, to perform their patriotic program. The Veterans love to sing along with them. A service dog enjoyed the progam TOO! Awarded with a music pin for being a member of the TONETTES since the choral group started in 1999. 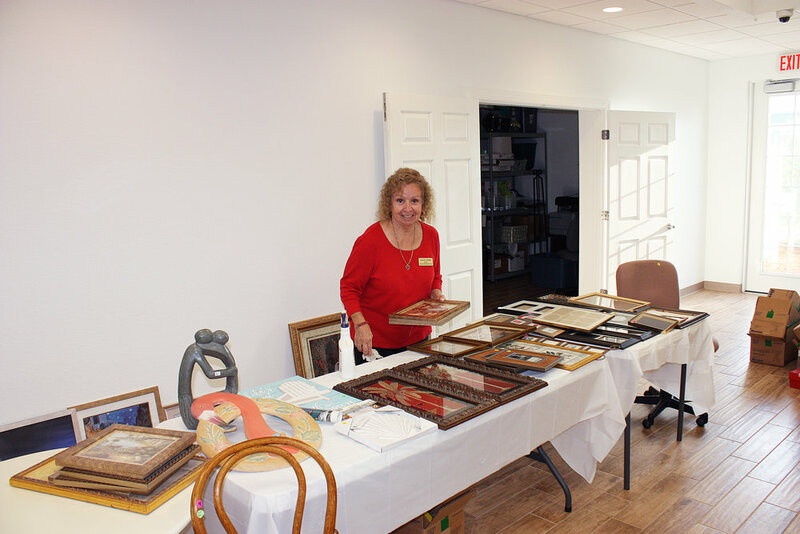 This was done at the practice since she could not be at the general meeting of the GFWC Rotonda West Women's Club. Our Tonnettes sing at Inglenook Assisted Living, March 7, doing thier Irish program.